The Temecula Valley Fair, which ran March 18-21 at Galway Downs, had many rides, games and attractions suitable for college students as well as families with young children. Fair attractions such as the petting zoo, pony rides and carnival games were available the entire weekend while a dog stunt show had different scheduled times throughout the weekend. During the day, crowds made their way around the fairgrounds, stopping to walk through the Clown Town Fun House and take a spin on the Giant Wheel. “My favorite experience was seeing my friend scream on every ride,” said Jocelyn Reyes, fair attendee and Inland Empire resident. Carnival games and food trucks reeled in the most money with many of the proceeds going to local charities in Riverside County. Local vendors Redhawk Golf Course, Tractor Supply Co. and Magical Adventure Balloon Rides set up booths along the grounds in hopes of making new connections with the community and showing support for their local fair. Each night closed out with live music from cover bands to appearances by television stars. 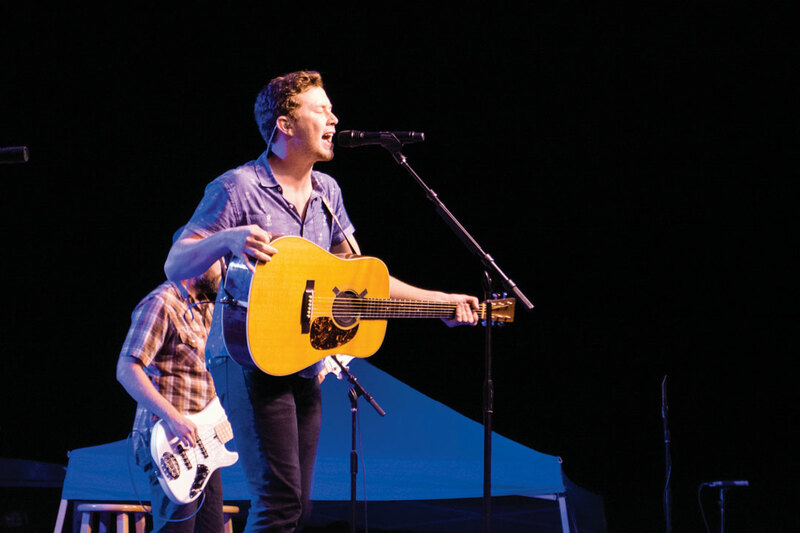 The stage was rocked by Scotty McCreery, “American Idol” winner and country music artist, March 19. It closed with Mia, radio disc jockey from 101.3 FM the Mix Live, March 20. Madyson King, junior English major at California Baptist University, said she was not able to attend but from what she saw from friends, the music from Scotty McCreery is what she would have enjoyed the most. “The fair benefits families by giving them something to do together down in this area and helps the local vendors attain business within the community,” said Brittney Livingston, Cutco sales representative and vendor.